Another forgotten pearl from the vaults of radio station SWF, Germany. Like Coupla Prog or other delights from the early 70ies who never made an album, Cannabis India, founded 1971 in the region of Düsseldorf, show their great talent playing their own compositions influenced by groups like The Nice or ELP Bandleader and organ-player Oliver Petry studied piano from the early age of seven. When he heard Keith Emerson for the first time he changed his instrument and played organ with great enthusiasm. 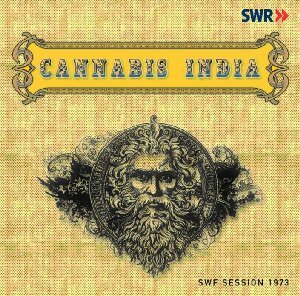 Together with drummer Rüdiger Braune (in the 80ies with Gianna Nannini) and furious bass-player Dirk Fleck Cannabis India run through their pieces with infernal speed but also with a sense of drama. Nearly 12minutes epic "Lapis" and 11 minutes adaption of Beethovens 9th show what for Cannabis India music was all about. CD comes with 2 bonus tracks from follow-up band Universe. Digitally remastered from original master tapes and bandstory. Don't miss it!